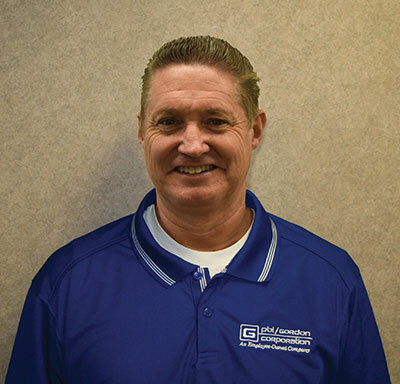 John Wiblishauser has joined PBI-Gordon as sales manager in Pennsylvania and New Jersey. Wiblishauser is responsible for PBI-Gordon product sales to turfgrass management customers in Pennsylvania and New Jersey. Based in Philadelphia, Pa., he is taking over the sales territory from PBI-Gordon Employee-Owner John Patten. Patten will be retiring in fall 2018. Prior to joining PBI-Gordon, Wiblishauser was in sales with Grigg Brothers, where he covered a territory that ran from Virginia to Maine. Before that, he was with Bayer CropScience. Wiblishauser is a graduate of the Rutgers University Golf Turf Management program. Additionally, PBI-Gordon added Matt Ayala to its sales team as Florida manager. Based in Ft. Myers, Fla., he’s responsible for PBI-Gordon product sales to golf course and turfgrass management customers in Florida and the Caribbean. Ayala is taking over the sales territory from PBI-Gordon Employee-Owner Tim Allen. Allen has been a member of the Florida, Alabama and Mississippi Turfgrass Associations and will be retiring in fall 2018. Ayala comes to PBI-Gordon from SePRO Corp., where he served as sales manager for the turf and landscape markets in western Florida. He’s a Certified Pesticide Operator and alumnus of the University of Central Florida. The Aspire Software Co. added Matt Winn to the company. Winn will join the team as an account manager, with primary responsibility for maintaining service through the software implementation process. Winn comes to Aspire with 10 years of account management experience, including many years as the general manager for a turfgrass management company. Prior to joining Aspire, he was the account manager for a landscape company in Nashville, Tenn., where he managed the recurring services for 50-plus commercial and high-end residential accounts. In addition to his professional experience, he is a Certified Lawn Care Manager through the National Association of Landscape Professionals and was also recognized with the 2017 Rookie Account Manager of the Year award. Winn attended Middle Tennessee State University, majoring in business management and minoring accounting. The Davey Tree Expert Co. appointed Brigitte Orrick to director of recruiting and employee development. Orrick joins Davey from the Tree Care Industry Association (TCIA), where she was the workforce development director. Prior to TCIA, Orrick was the dean of Trade, Industry and Apprenticeships at Nicolet College. With more than 15 years in the industry, Orrick brings experience in the collegiate and professional affiliate market spaces. Orrick holds a bachelor’s degree in forest resource management from West Virginia University and a master’s degree in forestry and wood products from Virginia Tech. She is a graduate of The Chair Academy and Leadership Pikes Peak. Sipcam Agro USA added Todd Mason as specialty manager, Southeast accounts and southern region product development within the Turf & Ornamental and Material Preservation division. Mason’s responsibilities will include territory sales growth and management for the Southeast, plus product development for the southern region. Most recently, Mason was the American key account manager for Belchim Crop Protection USA. Mason has held various roles during his career at John Deere/LESCO as region manager and Arysta Lifescience, responsible for sales in the Northeast and mid-Atlantic regions. In other company news, Augie Young has been promoted to specialty manager, Northeast accounts and northern region product development. Young’s responsibilities will include territory sales growth and management for the Northeast and product development for the northern region. Young is a nine-year veteran of the specialty group at Sipcam Agro USA.